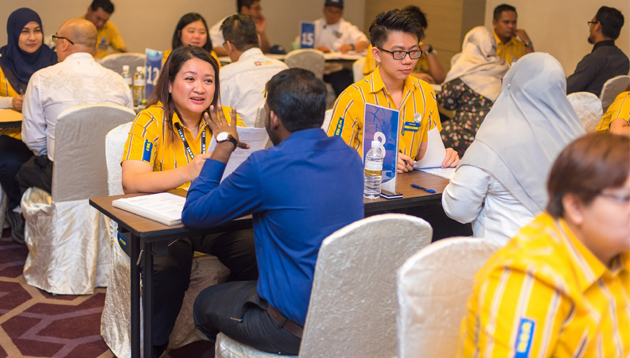 IKEA Batu Kawan’s recent three-day recruitment drive saw an impressive turn out of over 3,000 candidates, with majority hailing from Penang and a significant amount from various parts of Northern Malaysia. The Swedish home furnishing retailer is hiring more than 200 co-workers across all store functions including sales, customer relations, food & beverage, logistics, warehouse and more. “The remarkable attendance over the weekend has fueled greater enthusiasm for the store’s opening. We spoke to many candidates who we have identified as good fits. They share our enthusiasm and the positive attitude we look for in every IKEA co-worker. I am excited to build a passionate team of co-workers here in Batu Kawan. Together, we will work towards realising the shared IKEA vision of creating a better everyday life for the many people of Northern Malaysia,” said Pathmalingam Arumugam, store manager of IKEA Batu Kawan. Following the global initiative, P&G today hosted the inaugural #WeSeeEqual Symposium in Singapore to inspire people to become adv..
Dato’ Sri Mustapa Mohamed has clarified that most of those retrenched workers will be reemployed by new and expanding businesses. ..